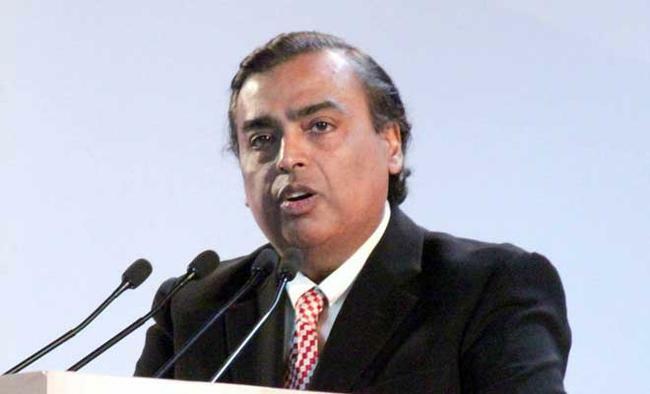 Bhubaneswar: Reliance Industries Chairman and Managing Director Mukesh Ambani said on Monday the group, which has already invested Rs 6,000 crore in Odisha over the last few years, will invest an additional Rs 3,000 crore in the state. "Today, Reliance has emerged as one of the largest investors in the state in the last few years. Reliance has already invested over Rs 6,000 crore in the state. And today, I am committing to invest an additional Rs 3,000 crore in our new businesses in Odisha," he said at the Make in Odisha Conclave here.The additional investments would be made in the next three years. "Most of our investments are in creating the Jio network. For Reliance, Jio is not just another business. It is a mission to transform India -- to transform Odisha. We have created sustained new employment opportunities, both direct and indirect, to over 30,000 people in the state," he said.Since Reliance Jio commenced operations little over two years ago, India has moved from the 155th rank in mobile broadband penetration to being the number one nation in mobile data consumption in the world, he said. "We are committed to connecting everyone and everything, everywhere always with the highest quality and the most affordable price. I have a big reason for focusing on digital business.The world is at the cusp of a digital revolution," Ambani said. He also said the group is taking another step to propel Odisha further into the digital future. "With JioGigaFiber, we have now begun an ambitious push in fixed broadband through fiber-to-the-home and premise. "Our aim and resolve is to ensure that India rises from the present 135th rank to be amongst the top three nations in fixed broadband within the next three years," Ambani said.